1. Communication is key with the client. 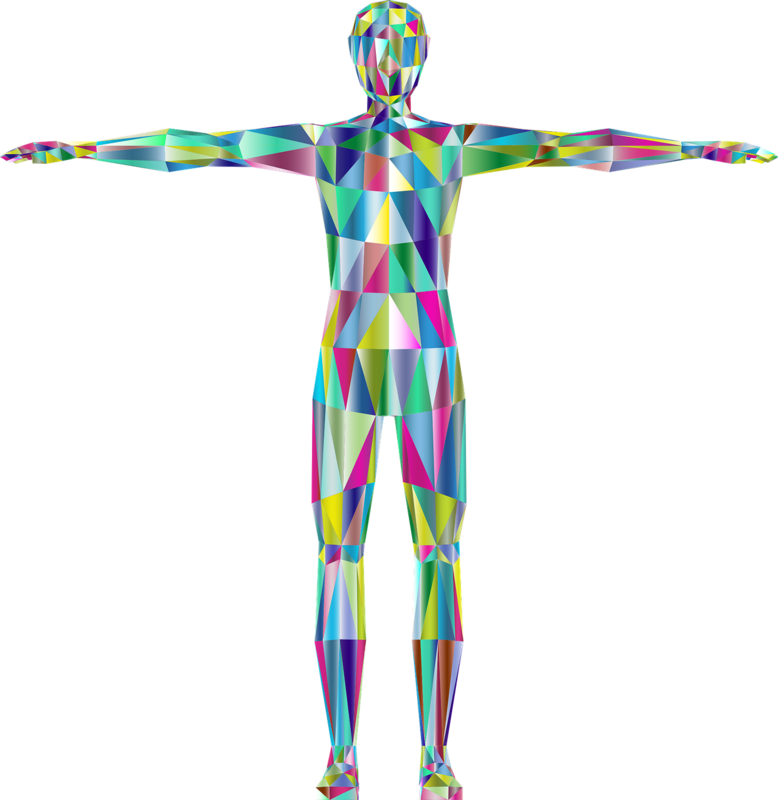 Engage in conversation and ask if there is pain, knots, tightness, numbness or tingling in area of the body. This will determine what areas need to be addressed and how the treatment should start and what treatment areas need exclusion. 2. It is important to scale the pain level from one to ten, one being the least painful and ten being the most painful and assign a word or phrase to have the client verbalize to cease the massage area due to enormous pain. 3. The client has full control of the pressure of the massage during the session and we acknowledge their feedback as we apply treatment. We are guided by the client to apply more or less pressure or to cease the pressure at their liking. 4. Allow for the client to tune into the mind but at the same time have the client be aware of the movement and pressure of the massage. We as the therapist take into consideration the clients breathing, body movement and ask the client if the pressure is sufficient so we can change the pressure by increasing or decreasing or ceasing to adjust to their comfortable level and unknot the muscle by using our fingertips, knuckles, hands, elbows, forearms, kneading system with long, gliding strokes and percussion (fast and slow) and tapping action on the layers of muscles and by using our own weight for compression and applying the therapists weight on the client as an action force allows for the application of pressure during the deep tissue massage to break down the tension in the muscle. 5. Remind the client to breath during the session and to hold their breath to maximize circulation and to be aware of their upper torso. Deep breathing exercises helps as well as holding breathing. 6. Ask the client questions about the specific massage area at hand and take cues from the clients movements to adjust your pressure, applying an increase of pressure or a decrease in pressure and the completion of the area. 7. As we massage in the treatment room we play music that fits to your liking. 8. The massage will create a release in the client that can take the form by spontaneous movement, muscle shake, muscle twitching, sighing, a quick yell, shout or a loud scream. This helps to identify the area in question and the adjustment of pressure appropriately and we move the client through with the final result of relief. 9. 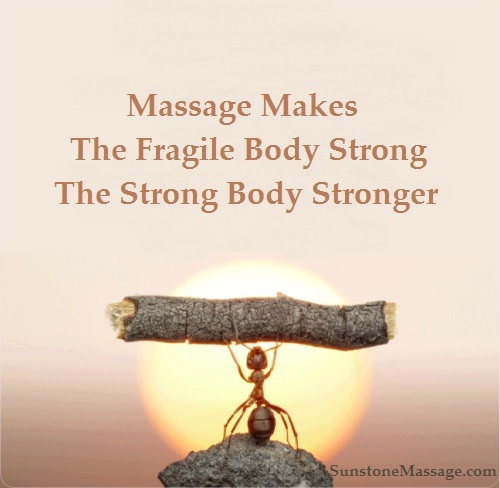 At Sunstone Registered Massage Therapy we make the fragile body strong and the strong body stronger an upgrade in your bodies wellness before you leave. 10. We work with the client in unison and adjust to the clients needs for a very effective session.